First, let me start off by saying that I think the way we view the word "diet" needs to drastically change. The connotation behind the word can bring up bouts of anxiety in people due to the stress that typically follows a strict dieting period. Almost every other day I hear someone describe the current diet they're trying out, whether it be Keto, Paleo, Whole30, gluten-free, a juice cleanse, etc. People become frustrated over how their diets aren't working effectively or that they can't stay committed to their current meal plan. They're worried they won't obtain the results they want in a certain time period unless they restrict, restrict, restrict. What I keep seeing is that while many diets can be temporarily effective (meaning it results in weight loss), the body becomes confused on how to eat and process foods once people go back to their old way of eating. The media loves to amp up each new trend and diss the last one, causing people to think they've been doing it all wrong and sending them straight into the next trendy diet. Not only are our minds confused, but our bodies don't understand how to recalibrate appropriately with all this yo-yo dieting! All of the nutrition information out there can be extremely confusing and contradicting. Even I still get sucked up into the controversial information circulating through the internet, on talk shows, from different doctors, you name it. While there is scientific evidence available that promotes the results of different diets, published research still needs to be kept an eye on. Every single human body works just a little bit differently due to genetics, lifestyle, and environment, and many studies don't take that into account when sharing results. Just because one diet worked super well or resulted in weight loss for someone else, that doesn't necessarily mean it will work the same for you. Don't fret - although it can be frustrating, that is perfectly okay! We are complete individuals. We have different backgrounds, various interests and passions, and a mix of genetics. So why should we base our diets on what someone else is eating? Sure, fruits and vegetables are healthy and nutritious for everyone, period. If you debate that then you need to go read a book. But, not every fruit or vegetable digests the same or reacts the same way in someone's body. While broccoli may give one person terrible gas (sorry, it happens), another person might be able to eat an entire bowl of it and feel completely fine. Beef might be someone's favorite source of protein, while for others it causes severe intestinal discomfort. I know that I can eat half of a sweet potato and feel great, but when I eat a full one, I become bloated and extremely uncomfortable. It's about experimenting and finding out which foods work best for you and your body, not anyone else's! I've done plenty of experimenting with different foods and meal plans throughout the years, but it was when I attempted the paleo diet that I realized how differently we all truly function. During my senior year of college, I attempted the paleo diet for two weeks. While that probably wasn't enough time to completely adapt to such an extreme shift in my diet, I couldn't force myself to stay the course any longer. My body was not happy with me. It was used to being fueled with carbs, and not just from fruit sources. By the end of those two weeks, I was constantly bloated to the point of having extreme abdominal pain, couldn't digest my meals properly and had very little energy because of it which kept me from enjoying any sort of exercise or movement. I was miserable, cranky, and not fun to be around. After I reincorporated grains and other carbs into my diet again, I immediately felt better and soon regained my energy. It made me realize that strictly following one popular and trendy way of eating does not make you the picture of health! Health can be subjective, and it doesn't manifest or look the same way in everyone. This is a high fat, moderate protein, and very low carb diet which ultimately puts your body into ketosis (or fat-burning mode). Ketosis occurs when you no longer provide the body with glucose (which typically comes from carbs) as a source of energy. When glucose supplies in the body are low, this relates to having a low blood sugar. When no glucose is left in the body to use, it resorts to utilizing your fat stores. The fat is then broken down and converted to glucose by the liver, a process which produces a byproduct called ketones, which are used as alternative fuel. The supported benefits of this diet are to help stabilize blood sugar, reduce hunger/cravings, and burn fat. In its purest form, the paleo diet consists of foods that can only be "hunted and gathered". For example - Natural meats, fish, fruits, nuts, seeds, eggs, and most vegetables are types of foods that can be consumed. 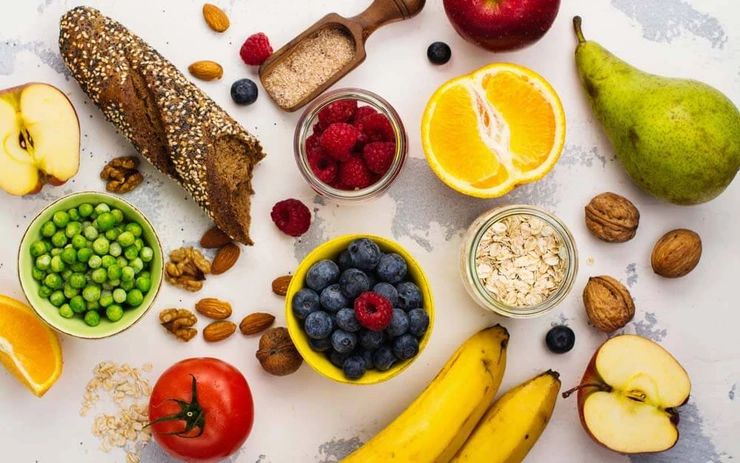 The diet excludes sugary and high sodium packaged foods, as well as most dairy (minus eggs), cereal grains, legumes, soy, and artificial sweeteners. The main goal behind this diet is to avoid any processed foods that our ancestors would not have had access to, and to focus on the foods that could be obtained by hand naturally. While this is typically considered more of a lifestyle choice than a diet, some people may choose to be vegan for only a specific period of time. Someone that follows a strictly vegan diet will avoid all dairy and eggs, meat, seafood, honey, and even avoid wearing or using products from animal sources such as leather, wool, and fur. The majority of the diet is made up of plant-based foods. It's important to make sure you're still obtaining adequate protein on this diet, which can certainly be done if you do the right research and keep things diverse. Oftentimes supplementation is necessary while following this diet, especially for vitamin B12, and sometimes vitamin D or omega-3. This is more of an eating pattern than an actual diet. There are multiple ways to do intermittent fasting, but the main focus is centered around the timing of when you eat, not what you eat. Common methods include the 16/8 method, where you only eat between the hours of 12-8pm and then fast for the next 16 hours, as well as the 24-hour method which involves fasting for an entire 24 hours about 2 times a week. Water, plain coffee, and tea are all fine to drink during a fasting window. You can modify this to your own preference, however, instead of following a particular method. For example, I try to keep a 12-14 hour window between my last meal and breakfast the following day which has personally helped me immensely with digestion and energy levels. Some benefits you can experience through intermittent fasting are reducing insulin resistance and inflammation, enhancing brain health, balancing hormones, and even altering certain genes that influence disease and aging. Fasting is not meant for everyone - in fact, it's debated whether women should partake in more extensive fasting at all (such as a period of 16 hours or longer). This will take some experimenting and adapting as well to decide if this is something that feels right for you! When you're doing research on different diets, pay attention to the website you're looking at and what the source is. More often than not, it's not going to be a site that's unbiased towards a particular diet. Typically, they are looking to promote the benefits and convince you that it's a common sense way of eating with little to no downsides. Be sure to look at both the positives and negatives, do some experimenting, and work to discover what gives you the most energy and makes you feel best! Whichever way that you eat, try not to make it a "diet", per se, but more of a lifestyle choice that is long lasting and can truly fuel your body. Depending on what your goals are, this can look different to each person. If you find that a particular diet or way of eating is more restrictive than it is fulfilling, it's probably not worth the time, stress, or money. Wouldn't you rather be able to look forward to your next meal and truly enjoy the flavors, textures, and nutrition it has to offer? Don't worry about comparing your diet to someone else's. We are not meant to all eat the exact same way! Does that mean one person should be eating McDonald's hamburgers four times a week while another person only eats salads and smoothie bowls? No. It means you work to discover which foods make you feel like a rockstar while also being able to enjoy them without restriction. I stay consistent with a plant-based diet because I ultimately have more energy, a stronger immune system, and better digestion. Do I still eat buffalo chicken dip and pizza from time to time? You bet. I love my veggies, but I also love the joy that comes from sharing classic comfort foods with my friends (or just myself). It's all about balance, folks! Less restriction, more intuition.